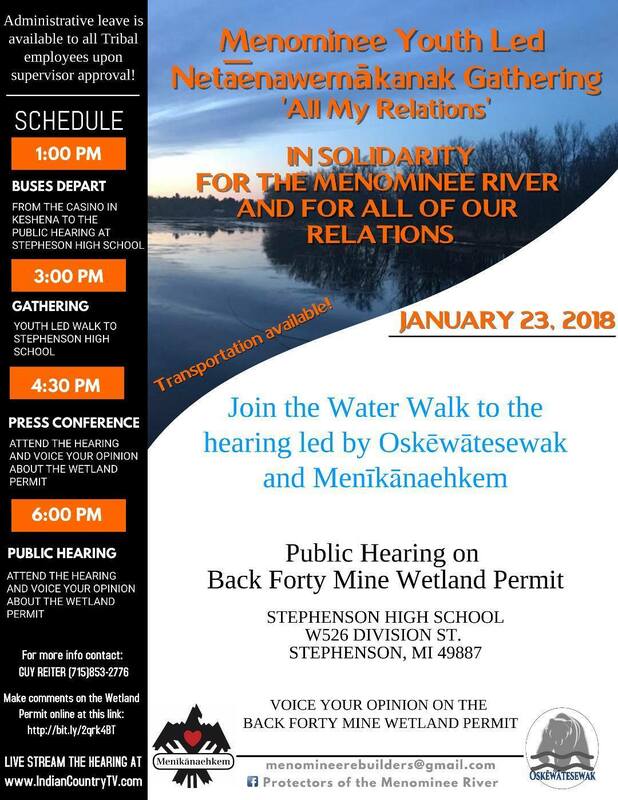 View the public hearing on Aquilla’s Wetland Permit Application in Stephenson, Michigan on January 23, 2018 starting around 6pm (CST) and running until it ends on Indian Country TV . Please feel free to click into the IndianCountryTV Livestream studio site on the digital player and look at previous video programs on the same subject, and/or find your links for social media and the embed for web and blog sites. Distribute freely. The arrow swoosh is the linking tool, the box on the right with an arrow when clicked will give you other video event files on the same subject.